A surefire way to get warm. 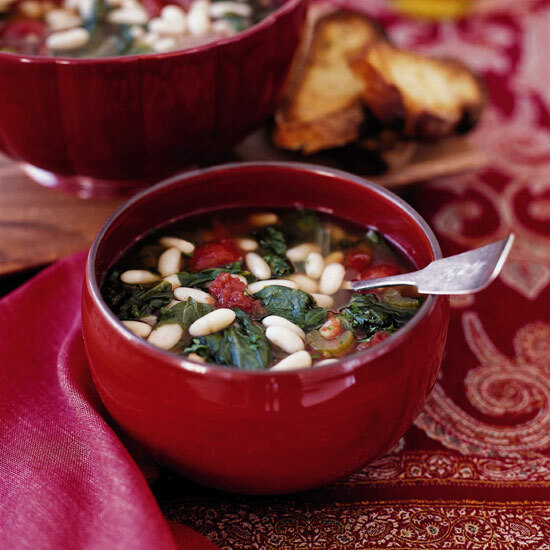 White beans are rich and creamy—the perfect base for hearty vegetarian soups. Here, five takes on this satisfying dish. 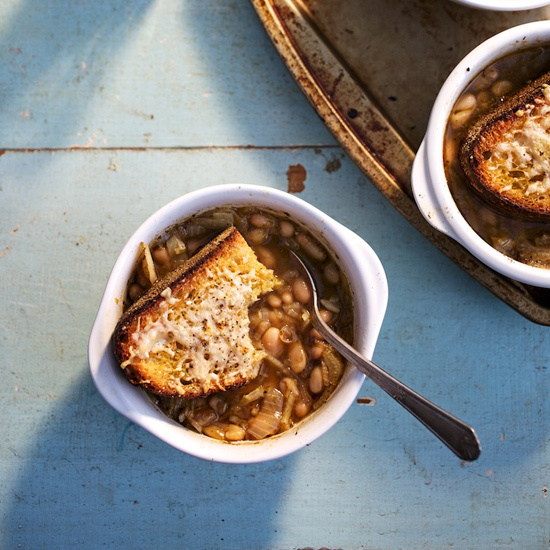 The actress and lifestyle guru Gwyneth Paltrow creates a delicious mash-up of white bean and French onion soups, topping it with cheese, toast and all. Swap out the chicken stock for vegetable broth, and you’ve got a silky, lemony, vegetarian soup that’s topped with croutons and sautéed broccoli rabe. 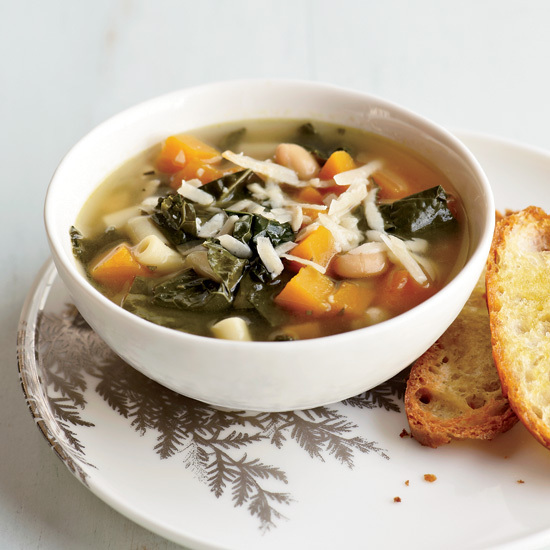 For this brothy Italian soup, known as minestra, sauté squash and kale with garlic and onion before adding the broth. 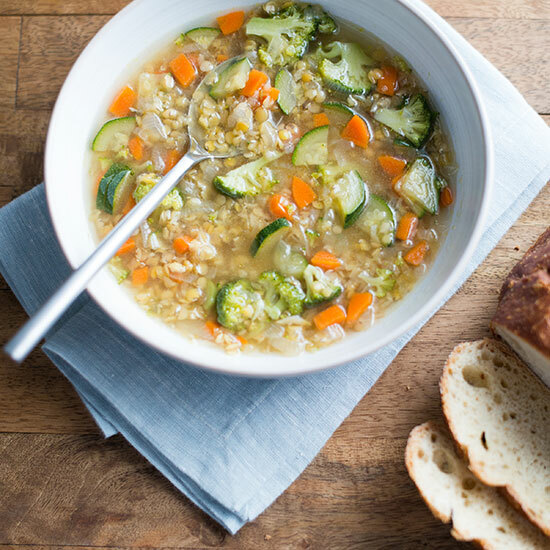 To keep the soup truly vegetarian, use water or vegetable broth. 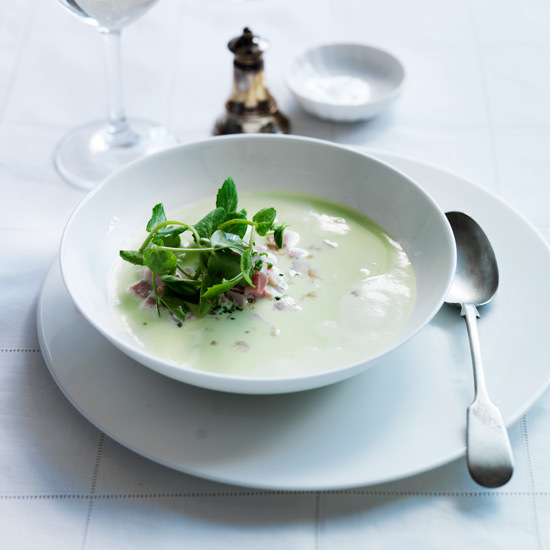 This chunky, rustic soup is garnished with a punchy mix of raw garlic, parsley and crushed red pepper. 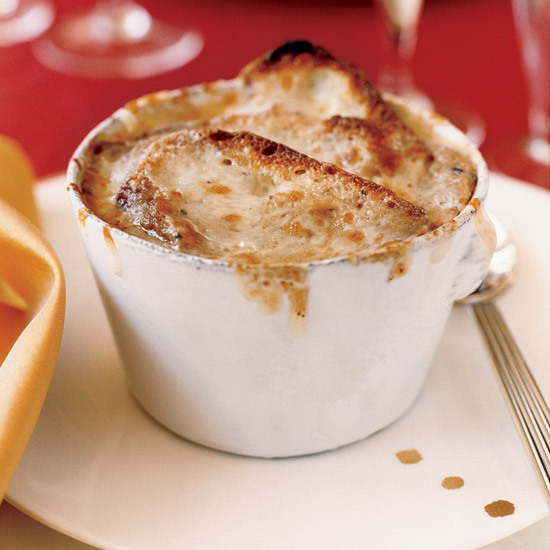 Okay, so this is more of a casserole than a soup, but it’s soupy and delicious nonetheless. 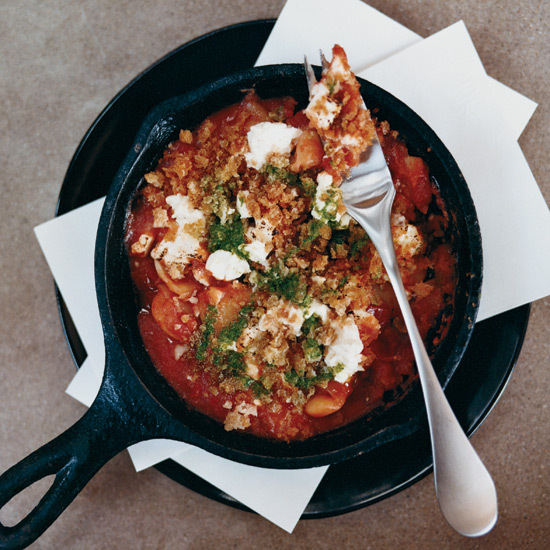 After the white beans are topped with feta cheese and baked in tomato sauce, they get garnished with a flavor-popping oregano pesto. Kristin Donnelly is a former Food & Wine editor and author of The Modern Potluck (Clarkson Potter, 2016). She is also the cofounder of Stewart & Claire, an all-natural line of lip balms made in Brooklyn.